Filip has been in journalism since 2012. He previously worked for Beta news agency from 2012 to 2015, and briefly for the Balkan Green Energy News website in 2017. 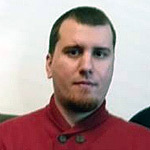 As a freelancer between those jobs, he collaborated with the Centre for Investigative Journalism of Serbia (CINS) and other media outlets. He also contributed to the Vojvodina Investigative Centre (VOICE), where his articles were featured in the daily newspaper Privredni Pregled and the weekly Novi Magazin. He has experience in daily reporting as well as investigative journalism. Filip won the Anthony Lewis Prize for Exceptional Rule of Law Journalism in 2017, and was a finalist for the Global Shining Light Award with the Centre for Investigative Journalism of Serbia that same year. He also won the Serbian Commissioner for the Protection of Equality’s annual media award in 2016.